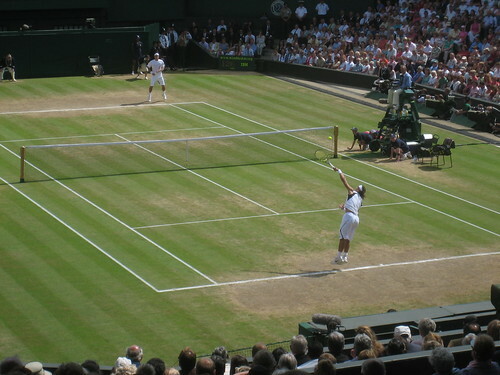 Nadal and Federer at Wimbledon. They’re like smartphones, honest. Photo by Georgio on Flickr. HTC’s leadership is laying off around one fifth of its workforce in an attempt to put the company on a path to sustainability. According to a tweet from Bloomberg journalist Samson Ellis, HTC is cutting 1,500 people from its Taiwan workforce. That’s roughly 22% of employees. The move is the latest attempt by HTC’s leaders to find a sustainable business in the shadow of giants like Google and Samsung. Late last year the company received a $1.1bn injection from Google in exchange for key teams involved in the creation of the Pixel smartphone. Meanwhile, HTC’s engineering and marketing teams soldier on with launches like the Vive Focus standalone VR headset and Vive Pro. Apparently it’s not on the VR side of the business. Though I can’t imagine that’s thriving either. Nearly a quarter of the workforce going? Its revenues are already smaller than in 2005; it’s only that cash pile that’s keeping it afloat, one feels. so many people have bombarded Bird investors with questions on their thinking that some have taken to publicly defending their investment. For instance, Mark Suster, a partner in LA firm Upfront Ventures, who invested in Bird’s $15 million A round as well as its last two enormous big rounds wrote just such a blog post. “While this reaction to such a valuation is understandable, to anybody who has seen the meteoric rise in consumer demand and actual revenue the valuation is much less surprising and may turn out to be quite conservative,” he said. More likely is that Bird, based in Santa Monica, is an example of the kind of more-is-always better, follow-the-herd venture investments that power the tech industry. VCs see a young startup with a novel idea doing well, and pound down its door to be among the first investors. The premise is that it’s better to spend wildly to grow fast and be first than it is to be fiscally responsible. If you move too slowly, the thinking goes, you might end up watching an upstart steal your idea and your market. With gobs of money and a bunch of VCs on the board, a young company may continue to flourish. But it’s also risky. But where’s the penalty for being an investor? If it all goes south, sure, that’s money gone. But if things flourish, you’re in the money (after some time). There’s no opportunity cost in funding even something that looks hopeless, because there are so many companies to fund. Sometimes the herd is right; sometimes, the fact of having the herd there makes it the correct decision. The Oakland-based company has pulled in a $25m round led by Insight Venture Partners, with participation from Romulus Capital. They have raised around $35m to date. Europe has had pretty much this, via satellite monitoring, for absolutely ages – it even uses it to monitor when farmers are falsely claiming “set-aside” payments (for fields left fallow). What’s new about this? It even uses piloted aircraft. That’s bonkers. Is it just that there’s more crazy venture capital money washing around the US? Or that the EU funds better science which quietly gets done? The deal, which was approved by the boards of Dell and VMware on Sunday evening, would simplify the stock structure of Dell and its publicly traded subsidiary. But it would also mark the return of Dell to the public markets, with a twist: The special shares held by Mr. Dell and Silver Lake would give them more votes than other investors. The transaction represents in some ways the culmination of a nearly $100bn bet by Mr. Dell and Silver Lake that, away from the harsh glare of public markets, they could retool a company best-known for making personal computers and traditional servers for an age of smartphones and cloud computing. Dell still supplies the machines that sit on the desks inside many office buildings, and has also found a ready market selling equipment and software to the kinds of networked computing services that were once thought to spell its end. Dell’s buyout in 2013 was $24bn; the way it has mushroomed in size, with EMC and VMWare, is amazing. Wonder if we will get any visibility into the profitability of its PC business again. So for the next two weeks, we’ll hear lots about Federer, Nadal, Djokovic, Murray, Serena Williams, and the rest. I used to cover tennis; for years the pro circuit was my journalistic meat and drink. Now I cover technology. And just as the tennis circuit rises and falls, and just as tennis has risen and fallen in popularity and interest, so, it seems to me, with smartphones. Basically, it’s Shira Ovide’s fault. “Access will be granted for a calendar day until 12:00 AM for the day, i.e until midnight if the customer has paid for one day,” the notice reads. While this kind of taxation appears unique, people’s desire to avoid taxes is universal. In this case, that is easily achieved by using a VPN, since they’re able to circumvent ISP restrictions placed on the sites listed above. As a result, VPNs are now suddenly at the height of fashion in Uganda, with searches reaching an all-time high on Google. But with Ugandans restoring their online freedom in droves, the government isn’t happy at the prospect of losing its revenue. Within hours of the news that VPNs were gaining in popularity, the government stepped in to do something about it. In a statement, Uganda Communications Commission Executive Director Godfrey Mutabazi said that Internet service providers would be ordered to block VPNs to prevent citizens from avoiding the social media tax. I don’t see this ending well for the government, but it’s going to be fun to watch. Next stop Tor, I’d imagine. People do see value in having these companies scan their email (though Return Path is not really directly useful to you or I). But the lack of control is as bad as some Twitter API accesses. Pollsters used to predict elections based on ideas of economic class and ideology, nowhere more so than where I live in the UK. Then, as the old economy changed and the Cold War ended, this became a poorer predictor of how one votes. In a world where government was a consumer service provider, marketing labels predominated. Sales firms such as Experian served up concepts like “the Ford Mondeo Man”—the swing voter whose desire for a certain type of car politicians had to fulfill. Now Mondeo Man seems far too fuzzy. Political targeting is more granular, looking for the little trigger which will get you out to vote. Social media both helped crack open the vessels in which the old ideologies and identities were pickled in, and to ferment a new approach. Tom Borwick, digital director of the official Brexit campaign in the UK, thinks that for a population of 20 million, one usually needs 70 to 80 types of targeted social media messages: Animal Rights and Pot Holes, Death Penalty and Health Services. And, as Pavlovsky already knew in 1990s Russia, in a situation where groups you target are so varied, where identity itself is so fractured, one unites them round a vague feeling, as any concrete ideology would get in the way: Drain The Swamp or Take Back Control. And instead of a coherent vision of the future, conspiracy becomes the way you lassoo your vote together. The Deep State (for Trump). The CIA (for Putin). The Establishment (for everyone). This is like a companion piece to the Thomas Friedman piece from yesterday: the old certainties and identities, especially in politics, are dissolving. If the computers do produce some insight [into forecasts], it may be because they can tap into data that we could hardly have imagined using before. 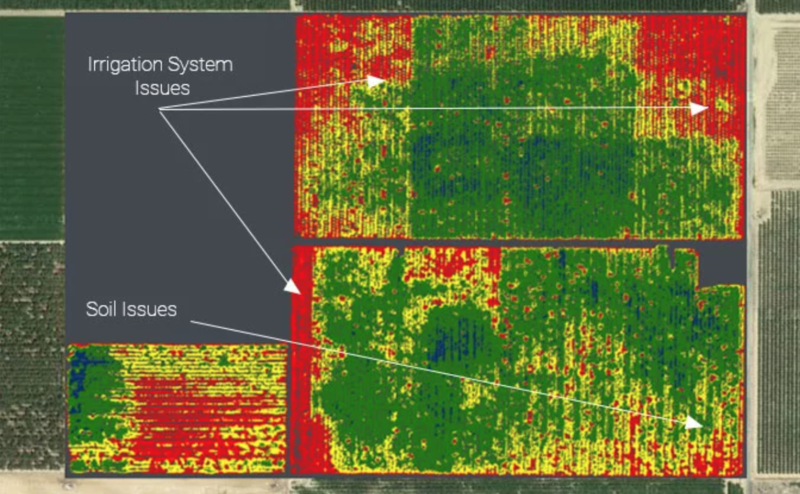 Satellite imaging can now track the growth of crops or the stockpiling of commodities such as oil. Computers can guess at human sentiment by analysing web searches for terms such as “job seekers allowance”, mentions of “recession” in news stories, and positive emotions in tweets. Rather as experts can make good diagnoses by tapping into data they’re not even consciously aware of, computers with access to more data and a well-trained machine learning system might “feel” an answer even when there’s no obvious way to tell.